When I was a kid, I loved silver dollar pancakes. They are just regular pancakes, only smaller. Yet the fact that they were small and cute made them special. 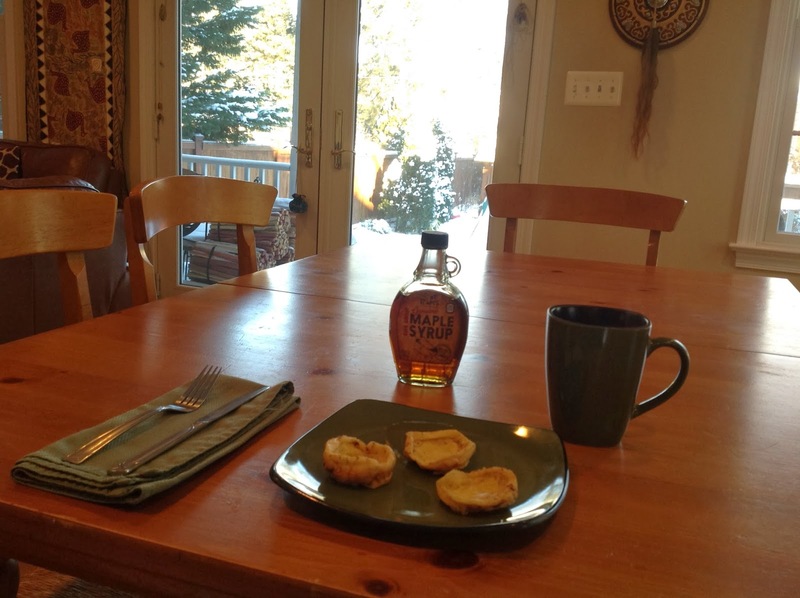 Mini puffy pancakes are kind of like that. 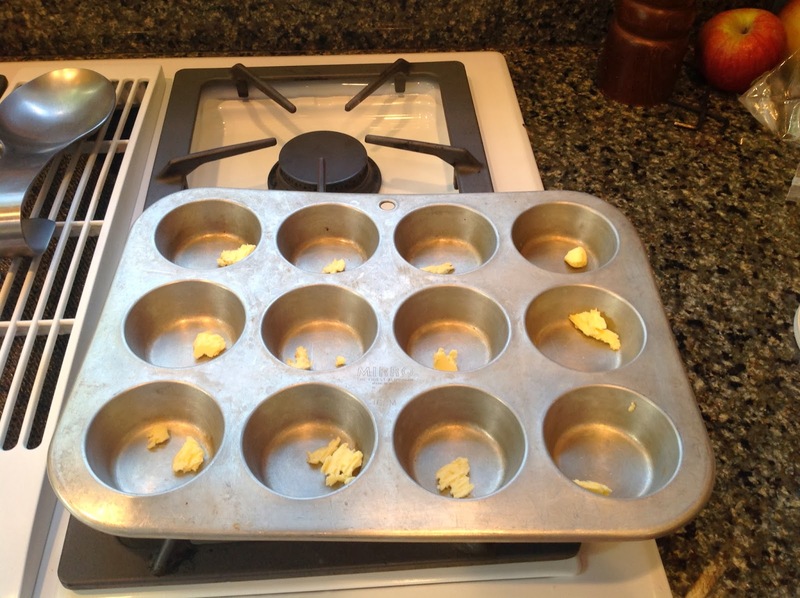 I made puffy pancakes in a cupcake pan ONCE for Little Bread Toddler and now he requests them all the time. 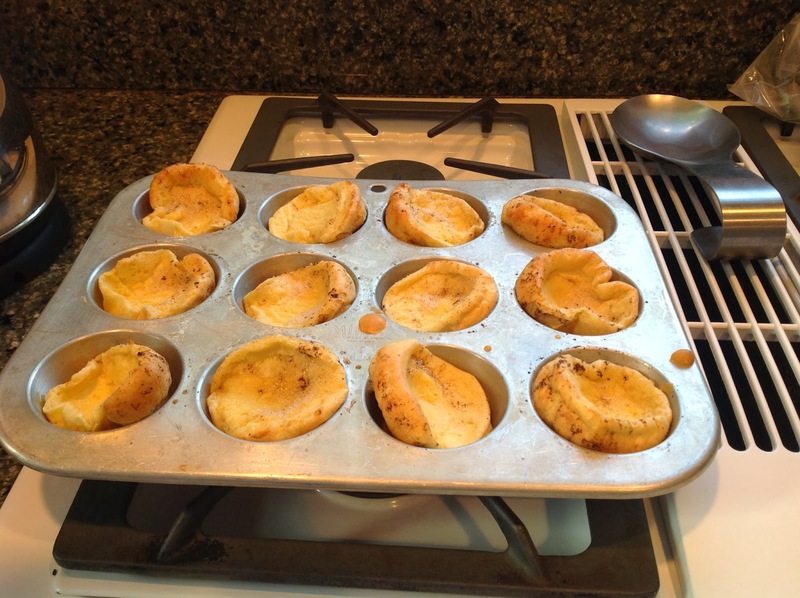 He calls them puffy pies (I think because when I make a big puffy pancake I use a pie dish. 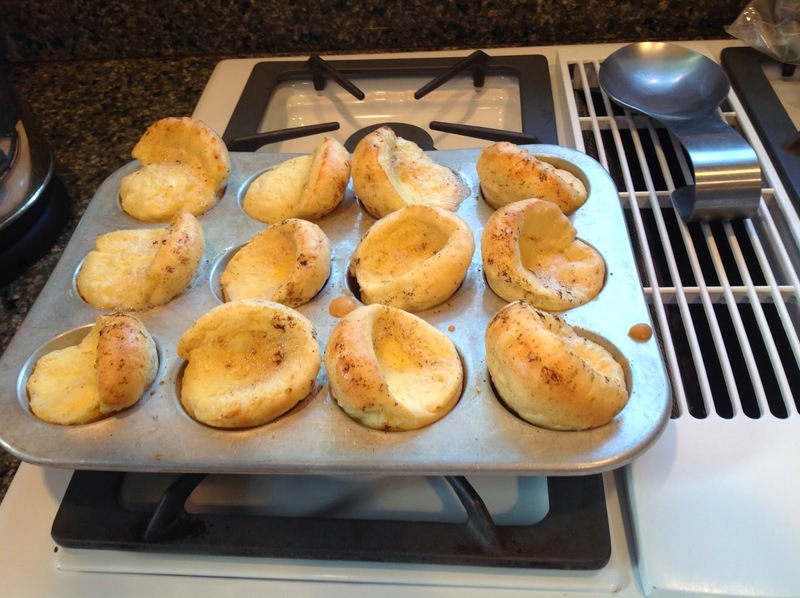 They are the kind of thing you make on a weekend when you have absolutely nowhere to be. This makes enough for two people, I would say. 2. 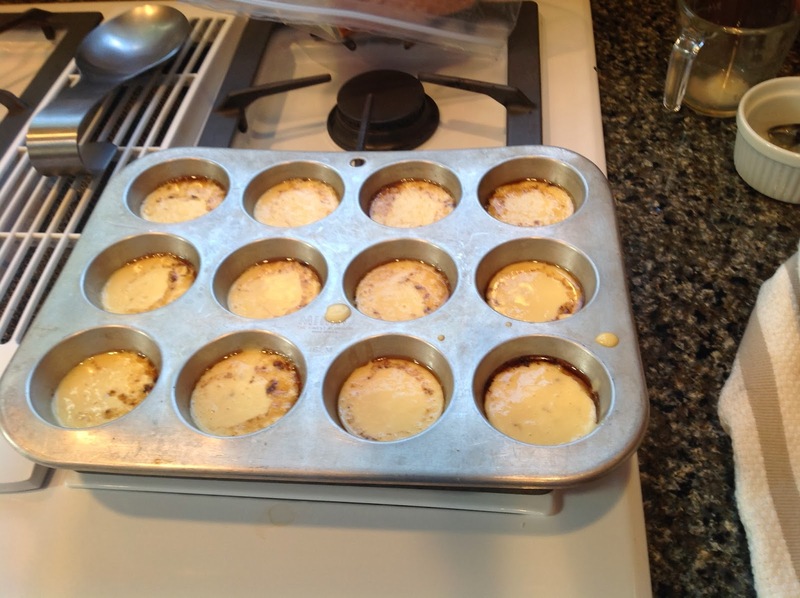 Take your butter and flick a tiny piece (maybe 1/8 teaspoon size) of butter into each of the cupcake holes of your pan. Set aside. 3. Whisk together the flour, salt and sugar (and cinnamon) in a large measuring cup. Set aside. 4. 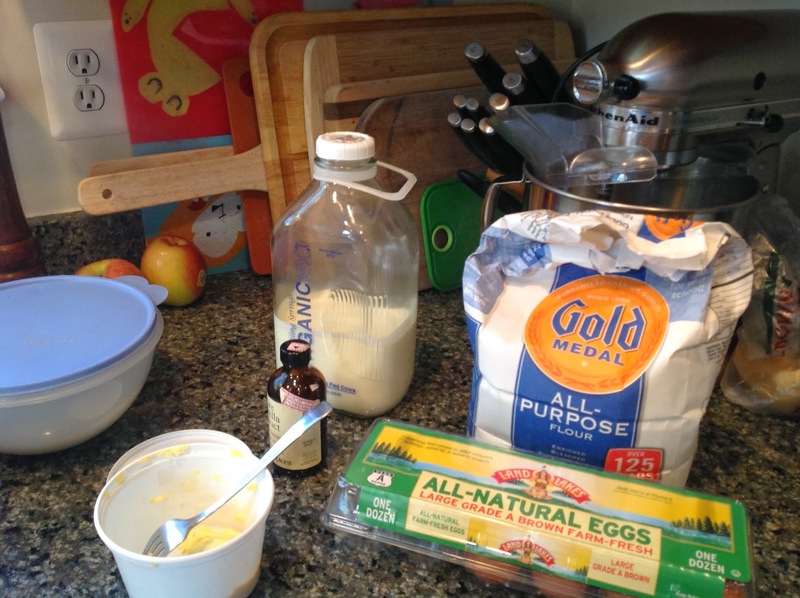 Combine the milk and vanilla in a small measuring cup. Set aside. 5. Crack the eggs into a small bowl. Set aside. 6. 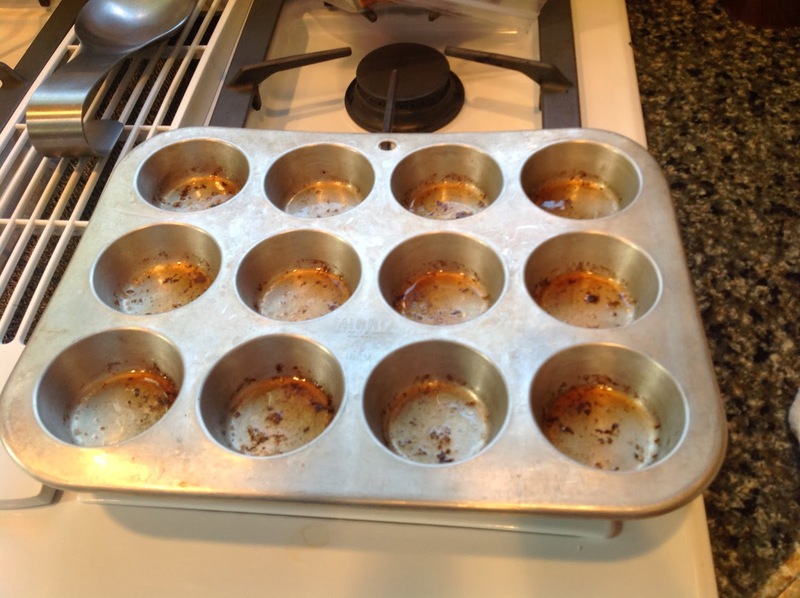 When your oven is at about 400 degrees F, slide your cupcake pan into the oven to heat up. 7. 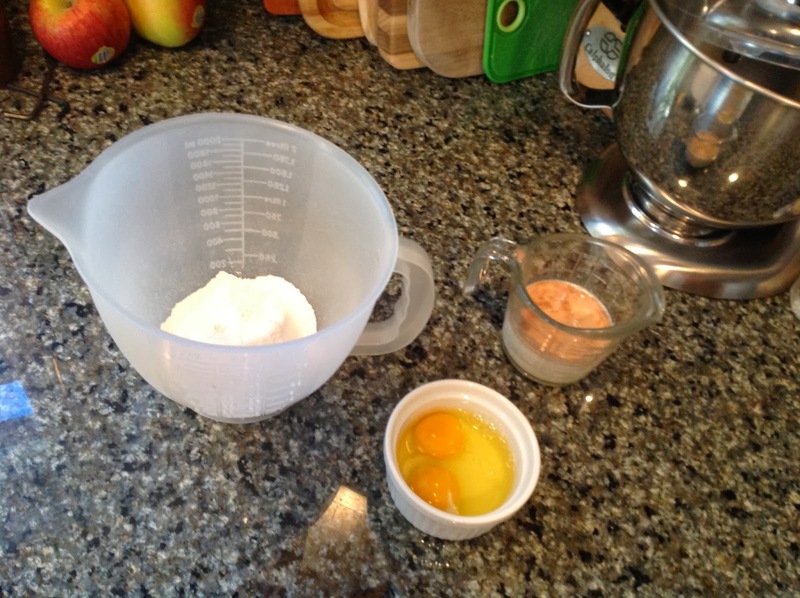 Once the oven is preheated, pour your milk mixture and eggs into the large measuring cup with the flour. Whisk to combine. 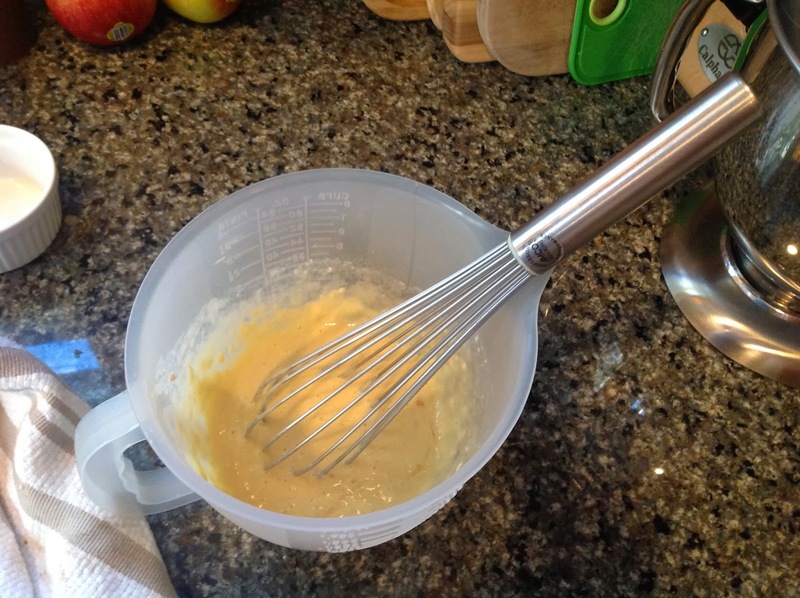 and carefully ladle a little of the batter into each cupcake. 9. 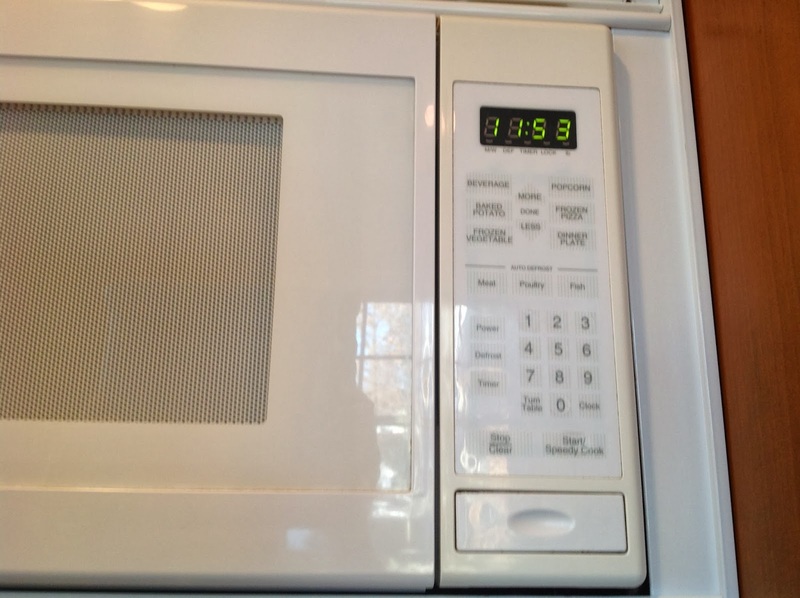 Return the cupcake pan to the oven and set your timer for 12 minutes. But they are still tasty, don’t worry! I like them with syrup. 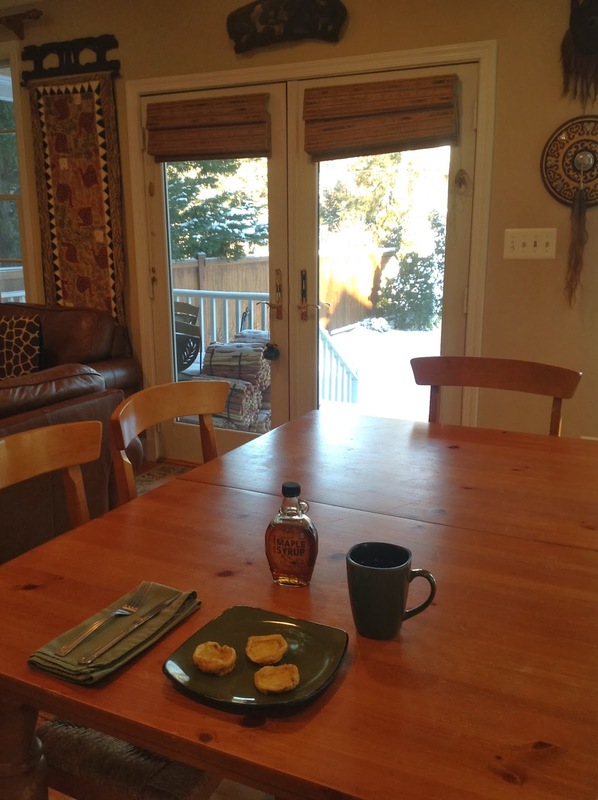 The nice thing about mini puffy pancakes is that they are bite size, so no cutting involved. One last thought: the past couple of times I’ve made these, as I was flicking butter into the cupcake pan, I would think to myself that this is the kind of thing I will make for my firstborn but probably no subsequent children, because it’s also kind of a PITA. But as I thought more about it, sometimes as parents we happily do things for our children that are a PITA. 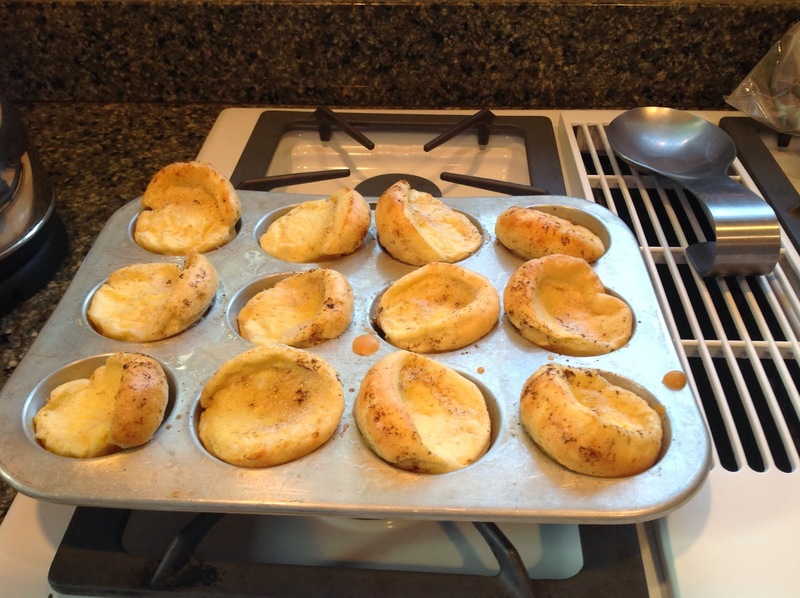 And I probably will make these for future additions to the Bread family, as PITA-ful as they are. Sometimes a child’s joy trumps PITAness.